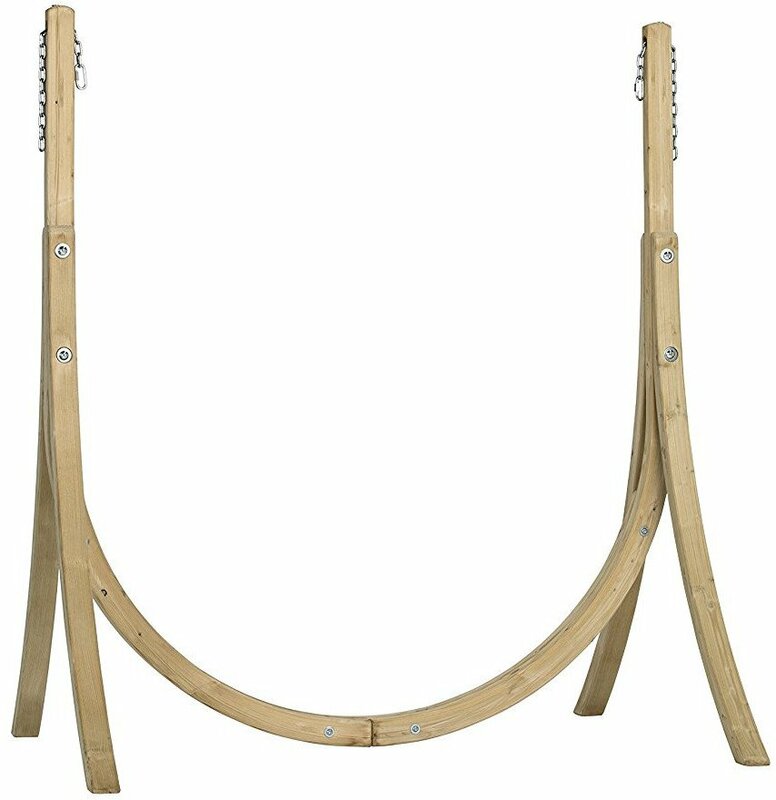 The Taurus frame is the best possible place for suspending your hanging chair. Whether in the drawing room, on the balcony or in the garden, with the Taurus you can suspend your hanging chair anywhere flexibly and securely without any need of trees, ceilings or walls. The top-quality layer-glued spruce wood comes from sustainably managed European forests. It is resistant to all weathers as a result of dip-impregnation and the galvanised fittings, and is designed to last for years. The Taurus comes with a specially developed chain suspension system, which can be adjusted in such a way that it is suitable for many AMAZONAS hanging chairs.